Petey Rosenberg was one of the most versatile athletes ever to come out of South Philadelphia. Born on the Fourth of July in 1918, he made his mark in both scholastic and professional basketball and baseball. At South Philadelphia High School, Rosenberg played baseball on the 1936 championship team, touted as the best high school baseball team of all time; nine of its members went on to play professional ball. He captained the 1937 City Championship basketball team, the team that went on to become the Eastern States Tournament Champions. From Southern, he went to Brown Prep, eventually earning a scholarship to St. Joseph’s College. He played for the Mighty Mites of St. Joe’s for one year in 1939. 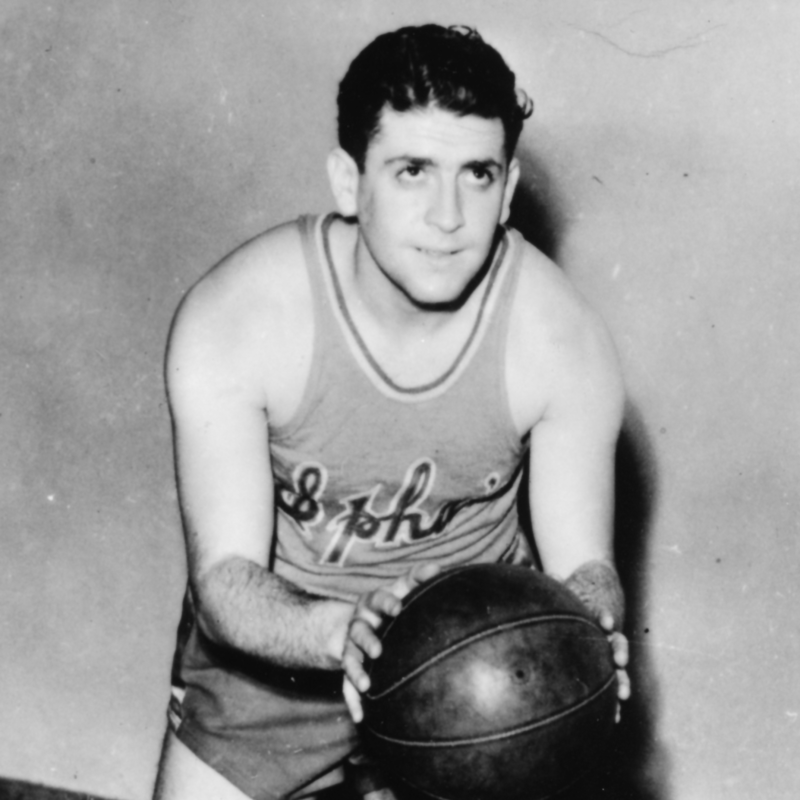 In 1940 Eddie Gottlieb claimed Rosenberg for the SPHAS, and he played with them until 1943, at which time he went into military service. In the service, Rosenberg came across a comparative unknown and recommended him to Gottlieb. The unknown was Joe Fulks, and Gottlieb’s Warriors went on to win the NBA Championship with a 49-11 record in 1946-47. His love and skill for baseball led him to a year as a professional baseball player in the Philadelphia Athletics system. Prior to his death in 1997, Rosenberg, who lived in Lansdowne, was inducted into the Pennsylvania Sports Hall of Fame and Delaware County Hall of Fame. He was also honored by B’rith Sholom, Sportsters Club, the Sportsmen’s Club of Delaware County and many other organizations.